When examining a grain of salt or a grain of sand, it is difficult using the naked eye to gauge which one is actually bigger than the other. In terms of Manistee’s industrial past, both mineral and sediment have played reasonably equal roles throughout the town’s unique and plentiful history. By the 1870s, Manistee was already a booming lumber town and with the addition of the salt industry, it became an even larger manufacturing port city. The salt industry of Manistee can be attributed to the tenacity of lumberman Charles Reitz, who throughout the 1870s was a partner in the Reitz Brothers sawmill firm. 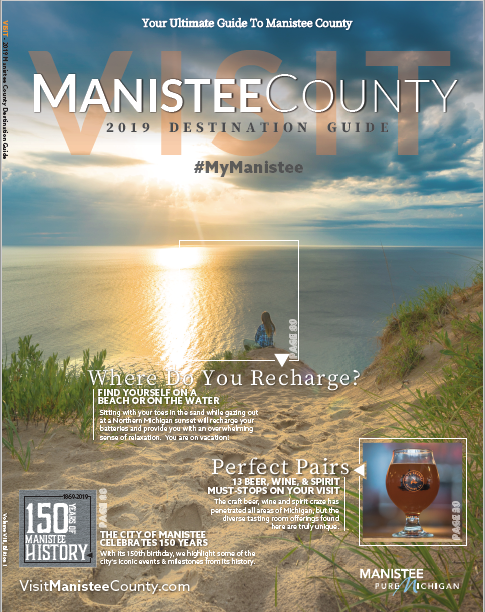 In 1879, state geologist Dr. C. Rominger arrived in Manistee and stated to local officials that he believed there was a large vein of salt underneath the town. After chatting with Rominger, Reitz became convinced of the salt deposits and decided to drill for salt. Following a large investment and many months of work, salt was struck in the spring of 1880 at a depth of nearly 2,000 feet. Once the salt block was erected, air, water, and steam were piped down to mix with the salt deposits. Ultimately, a brine substance was pumped up and evaporated to get a grain salt that could be packaged and shipped off. After Reitz’ discovery, many of the town’s other lumber barons began to drill for salt on their properties, striking it as well. Since the lumber barons already had their sawmill operations, much of the refuse wood from those mills was used to power the machinery needed to evaporate the brine that would become salt. With the closure of most of the area’s sawmills, by the 1910s, many of the operations involved with the original salt industry began to cease. In 1922, the Ruggles and Rademaker Salt Company opened a large salt factory on the former property of the Buckley and Douglas sawmill on Fifth Street. In 1930, the factory went up for auction and was purchased by the Morton Salt Company, which still operates from that same location today. 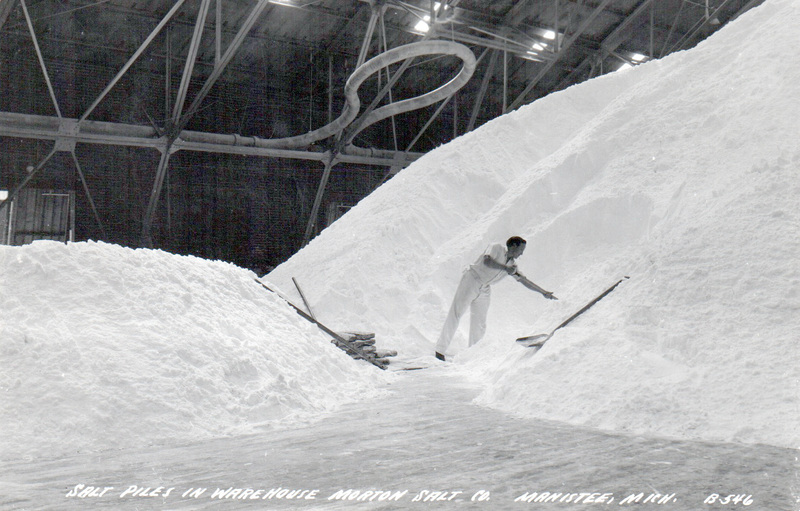 Other companies involved in the salt trade in Manistee included the Manistee Salt Works, a subsidiary of Hardy Salt, which continued operations under various companies through the 1990s.